With secluded nature trails, whale watching and golden beaches, the Garden Route in South Africa is an outdoor-lover’s playground. The Garden Route runs between South Africa’s Eastern and Western Cape and is home to some of the country’s most staggering scenery. Sandwiched between the Garden Route National Park and the rugged southern coast, it’s a hotspot for idyllic walks, fantastic restaurants and outdoor pursuits. 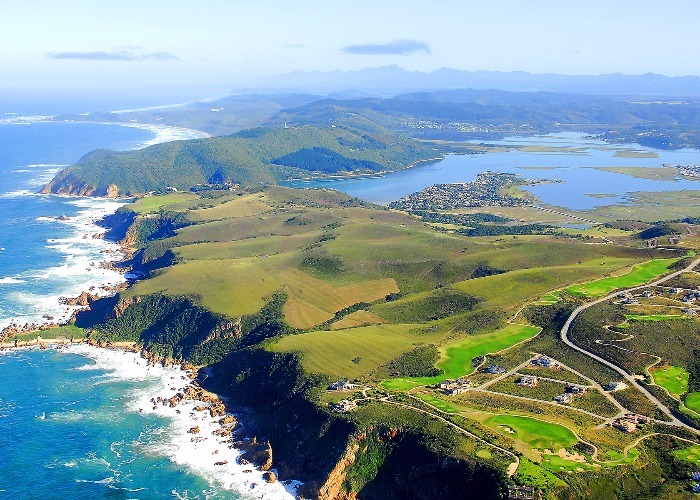 Not only is the Garden Route one of South Africa’s most picturesque regions, it’s also one of the easiest to explore. The N2 highway runs through the heart of the region from Port Elizabeth all the way to Cape Town and the various coastal towns present plenty of attractions to suit all budgets and tastes. A detour inland from George or Mossel Bay takes you to the semi-desert Klein Karoo, home of South Africa’s ostrich farms. If you want freedom to explore all the route has to offer, the best way to travel is by hiring a car at either Port Elizabeth, George or Cape Town airport. 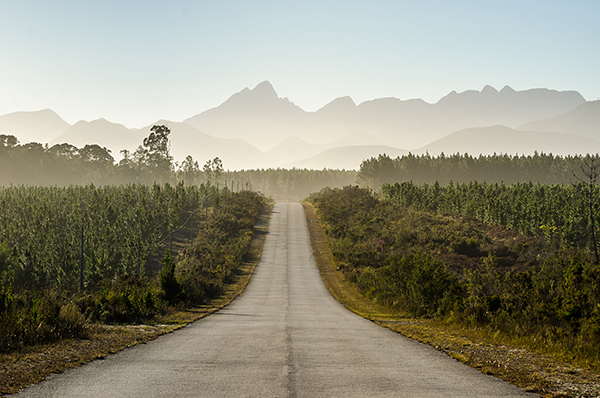 Travel at your own pace, but reserve at least six days for the best view of the Garden Route. Plenty of tours provide transport along the route too. For active types, Discover Adventure run guided group cycling tours along the Garden Route. If you're not into cycling, though, Eden run tailormade tours. 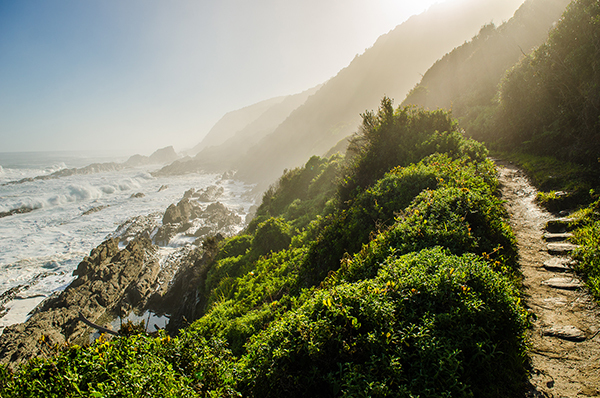 If you're a keen hiker, you might want to explore the Garden Route on foot. The four-day Otter Trail hike is a spectacular way to explore the route, though hiker numbers are restricted by South Africa's National Parks service, so you'll need to book at least a year in advance. The Robberg Nature Reserve and areas of Plettenberg Bay are prime spots during whale-watching season. Enjoy boat trips from Knysna and Mossel Bay and take a detour from the Garden Route to Hermanus, the "whale capital of the world". The Tsitsikamma Forest, home to towering Outeniqua yellowwood trees, offers excellent canopy tours allowing you to "fly" almost a hundred feet above the forest floor. 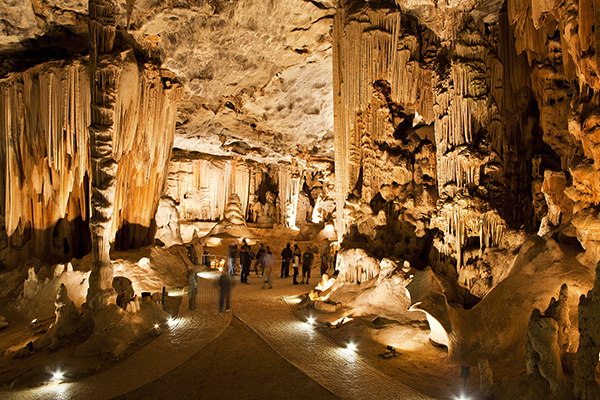 The Cango Caves, close to Oudtshoorn, offer some of the finest examples of stalagmite and stalactite caves. See otherworldly limestone formations dating back millions of years. Covering seven square miles between sandstone cliffs known as The Heads, Knysna Lagoon is a stunning sight. Take a boat trip beyond the Lighthouse and stroll along the scenic waterfront. Located in the Tsitsikamma forest, this wooden suspension bridge spans an amazing 250 feet and sits among a birder’s paradise. Unusual species like the Knysna Turaco and Amethyst Sunbird can be spotted from the bridge and the surrounding area. 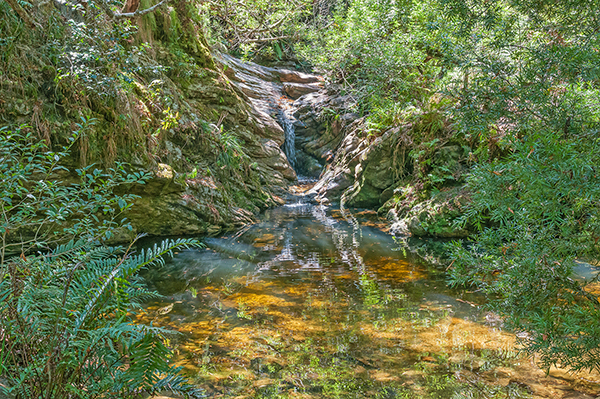 Pack your swimsuit and a picnic and drive to Jubilee Creek Nature Reserve in the Knysna Forest. Signs lead you through towering woodland to glorious natural pools and waterfalls. Take a drive west of Knysna to Brenton-on-Sea and follow the steps to Castle Rock for breathtaking sunsets over the beach. Arrive early to the Saturday farmers market in Sedgefield and eat your way through pastries, biltong, and local produce. If you visit Oudtshoorn, stop by Karusa – a family wine producer and craft brewery that serves Karoo-style tapas alongside their beverages. The Garden Route is a well-trodden path so the key attractions are quite easy to find, but some of the most special places are those that only the locals know about. Ask around the local restaurants and B&Bs for special places of interest in the local area. You can find hidden waterfalls, hiking trails and hidden beaches just by asking those in the know. The Garden Route is generally a safe place, though tourists are a key target for criminals. Don’t pick up hitchhikers on the road and do not leave valuables in your car, even if the area feels safe. Many car parks along South Africa’s Garden Route are free of charge but there may be an unofficial warden who will ask you for change to keep an eye on your car. Give them some small change before you leave (10 rand is plenty). You will be amazed at how many opportunities there are along the Garden Route to go for a dip so take a towel and swimsuit wherever you go. I you’re hiking, you’ll find hidden rock pools and waterfalls with crystal clear water that’s perfect for cooling off in. And if you’re cruising along the coast, you’ll find loads of glorious beaches. It goes without saying, if you’re road tripping along the Garden Route, take a picnic for those long drives. There’ll be plenty of picturesque lookout points where you can pull up and enjoy an al fresco lunch. You’ll find lots of malls along the Garden Route with grocery stores and supermarkets – the main ones are SPAR and Pick n Pay. The 5-star Plettenberg Hotel offers unique guestrooms and villas with unbeatable views. The boutique Aquavit Guest house offers excellent facilities and stylish rooms with balconies. Turbine Hotel on Thesen Island is an old power station turned boutique hotel with a plush spa. Teniqua Treetops is a collection of eco-friendly treehouses with big bathtubs and a pool. The Fancourt is a sprawling hotel and golf course in the foothills of the Outeniqua Mountains. The Garden Villa offers three homely guest rooms, an apartment and villa in charming Cape Dutch style. Serendipity Wilderness is a luxury guesthouse with an intimate feel on the Touw River. Nostalgie B&B offers old fashioned Karoo hospitality with a modern twist. Earthbound B&B offers a homely stay and great breakfasts. SeaFood at The Plettenberg Hotel is a sought-after fine-dining spot for Mossel Bay sole and seafood platters. Laid-back Off The Hook serves fish and chips, burgers and Lebanese cuisine. Start the day with coffee and huge slices of cake at The East Head Café or île de païn. For hearty South African cooking, visit the historic Tottie’s Farm Kitchen. For Knysna’s famous oysters try The Drydock Food Co. or 34 Degrees South. Flava Café in Wilderness serves up great bobotie (spiced mince-meat pie) while The Girls Restaurant is great for African-inspired cuisine. For a beautiful setting, visit Serendipity. For European style dishes, try the quaint Lala’s Vintage Bistro. For tasty fish curries and fish and chips, you can’t go wrong with The Fat Fish. Enjoy some of the best ostrich you’ve ever tasted at old-fashioned Nostalgie or The Pepper Tree. For Klein Karoo dishes try Jemima’s and for coffee and cake try Café Brûlé.